3338 Land O Lakes Blvd. In The Loop Brewing Company was founded on the tradition of bringing people together. Alongside our unending desire to craft great beer, the idea of creating a special location that brings together good friends and family so that they can make wonderful memories has been our number one goal. This belief started long before In The Loop Brewing Company existed as a brick and mortar brewery and taphouse along Highway 41 in Land 0′ Lakes. In fact, the original “Loop” was a place for us to gather and set aside time from our busy schedules to celebrate a birthday, an important accomplishment, a graduation, or simply to bask in the company of good friends, laugh, let loose, drink the beer we brewed in our garage and get loopy! So whether you are celebrating a large milestone, or just want an excuse to hang out with your best friends, we have the space and attention to detail to ensure that you have a wonderful event! Nothing is more of a priority to us than translating the same feeling of love and friendship that we enjoy on “the Loop” to your special event at our taphouse. Our team is ready to work with you to create the experience that you are looking for, and most importantly, to have fun! Included in this guide is a review of the bar packages available, facility rental options, event contract, terms of agreement and credit card authorization form. If there is something that you are interested in, but do not see it as part of this outline, please do not hesitate to ask, and we will do our very best to accommodate your needs. Looking for a wedding venue?! Ask about our wedding guide for packages and other options to make your nuptial truly one of a kind. We offer twelve rotating taps at any one time, a small bottle selection of craft beers, ciders, craft sodas, and water, as well as a menu selection of red and white wines and sangria. Any event may take advantage of several formats that we offer with regards to payment options. We have several choices for how to serve you and your guests during your event, and we’ll be happy to help you choose which one is right for you. Credit cards will be kept on file prior to the start of all private events with a bar package. Guests are welcome to pay as they drink with cash, by credit card, or they may run a tab for the duration of the event. Guests should inform their servers ahead of time who will be paying together or separately. This is a good option for someone that wishes to pay for the entire party. A wristband will be provided by In The Loop Brewing Company for each person in the open bar group as the guests arrive. * Option 1 – An open bar can be arranged during private events for a rate of $15.00 per person per one-hour increment with a minimum two-hour duration and 25 people. Option 1 open bar tabs include only draft beers and wine (not packaged alcohol). * Option 2 – Drinks will be rung up as ordered during the event on one tab. This option can be customized to include certain beers, wines and ciders while excluding others or to limit a maximum bar tab allowance before guests pay on their own. Pre-purchased drink tickets may be used to budget a tab or to limit the amount of drinks bought on a single tab for each person. We will provide you with the tickets to distribute to your guest upon arrival. Guests will still have the option to purchase drinks on their own after the use of their tickets. Pre-purchased drink tickets are $5 each and are non-refundable following the event. ** A 20% gratuity will be added to all bar packages. ** No outside alcohol is permitted at In The Loop Brewing Company. 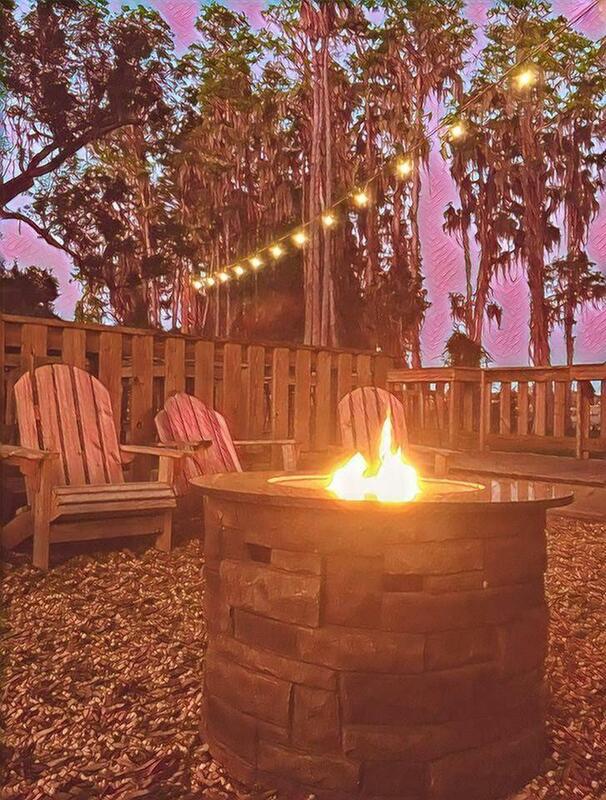 Our “fireplace room” offers a semi-private space to host your event with a wonderful view of the beer garden. It has direct access to the bar and beer garden but is partitioned off to give you and your guests an intimate and private setting to celebrate. The room can accommodate up to 30 guests seated comfortably. For larger parties, we recommend using the space for food set-up. A deposit of 50% of the contract is due upon reserving the space. See the terms of agreement for our cancellation policy. Our beautiful beer garden deck overlooking Lake Padgett can be reserved for your next event as well. You will have access to all of the tables on the deck, and the area will be cordoned off for only your guests to enjoy. The large beer garden picnic tables can be reserved solely for your guests. These large tables are a great way to bring a group of people together and enjoy the ambience of the beer garden. Multiple picnic tables may be reserved (or reserved in conjunction with another reservation) as long as tables are available. Furthermore, as In The Loop Brewing Company is closed to the public on Mondays, you can rent the entire tasting room and beer garden for your event. Guests will have exclusive access to our 1,500 square foot tasting room, our 6,000 square foot beer garden as well as 12 beers on tap with bar service. 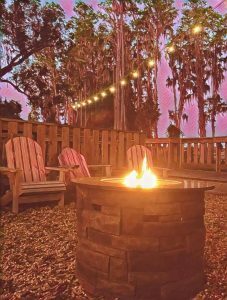 A bar package must be selected in consultation with management for all rentals outside of the tasting room hours. Please contact In The Loop Brewing Company for pricing on these events. In order to secure your private event, 50% of the contract amount is required. We accept Visa, MasterCard, American Express, and Discover. If a check was used to reserve the space, it will be returned to you upon the completion of your event and the full charge will be completed. If a credit card was used, the amount will be applied towards the balance of your event. Cancellations less than 48 hours from the confirmed event date and time will result in a forfeit of the full deposit. may only be dispensed by the In The Loop Brewing Company staff. No outside alcohol is permitted on the property. We also reserve the right to refuse alcohol service to any guest for any reason. Our staff is trained to serve alcohol responsibly and will not serve any guest who shows signs of intoxication (regardless of whether they intend to operate a motor vehicle after the event). In The Loop Brewing Company reserves the right to eject any person from the function or property without liability. On-site parking is available on a first-come, first-serve basis with an additional lot to the north of the brewhouse. Please drive cautiously and be aware of patrons entering/exiting the taphouse. In The Loop Brewing Company is not responsible for cars/possessions while on the property. Personal decorations are permitted as long as the time of set-up has been approved and set-up does not interfere with normal business hours. We ask that you not use confetti or glitter (and for wedding ceremonies we ask that you refrain from using rice). All decorations, tape, etc must be removed once the event reservation is completed. In The Loop Brewing Company reserves the right to inspect and regulate all private functions. 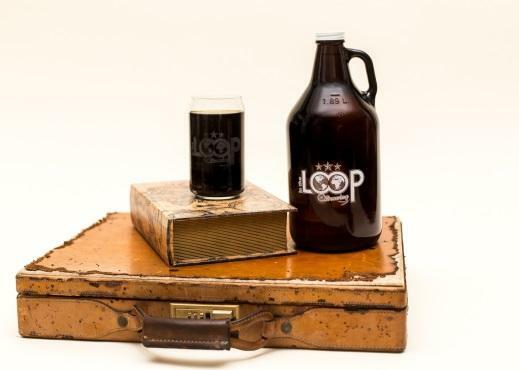 In The Loop Brewing Company is not responsible for damage to or loss of any items left on the property prior to, during, or following any function. The customer is responsible for and shall reimburse In The Loop Brewing Company for any damage, loss, or liability incurred by In The Loop Brewing Company as a result of the actions of any guest at the event. The final bill must be paid in full the day of the event. We only accept VISA, MasterCard, Discover, and American Express. No personal checks will be accepted as payment. Applicable state taxes will be added to the final bill and a 20% gratuity will be added to any bar package. A $35 fee will be assessed for cleanup following the event if management deems it appropriate.